It’s customary to teach history from a textbook, reviewing facts and stories as they’re written on the page. What if you could create a more enriching experience for your students? What if you could create an experience where those words leap from the book and into the real world? What’s the best way to do that: A Gettysburg student field trip. 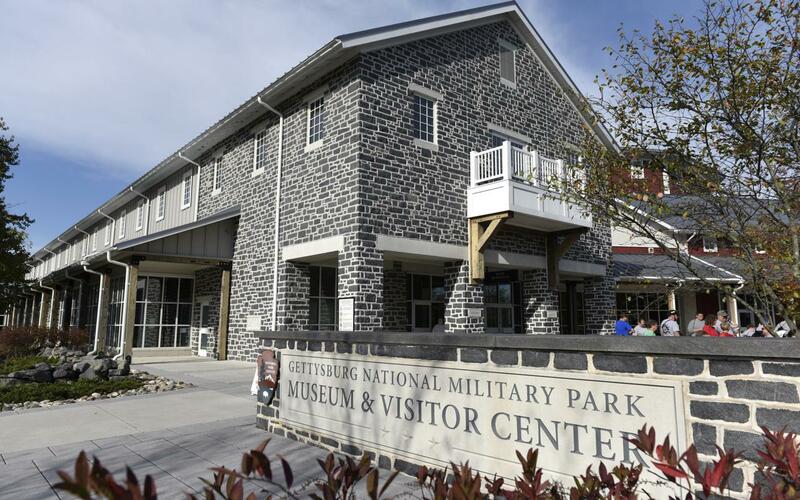 The Gettysburg Foundation, a 501(c)(3) non-profit philanthropic educational organization, operates in partnership with the National Park Service to preserve Gettysburg National Military Park and Eisenhower National Historic Site and educate the public about their significance. 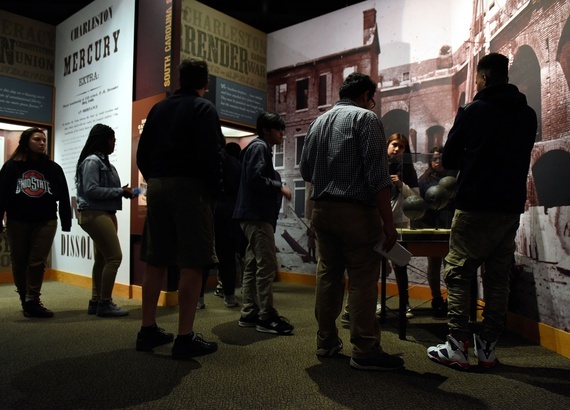 Gettysburg offers you a variety of informative, engaging and eye-opening field trips for your students. You can select from several programs and activities based on your lesson plan. With all the available options, there’s something for every student group at Gettysburg. 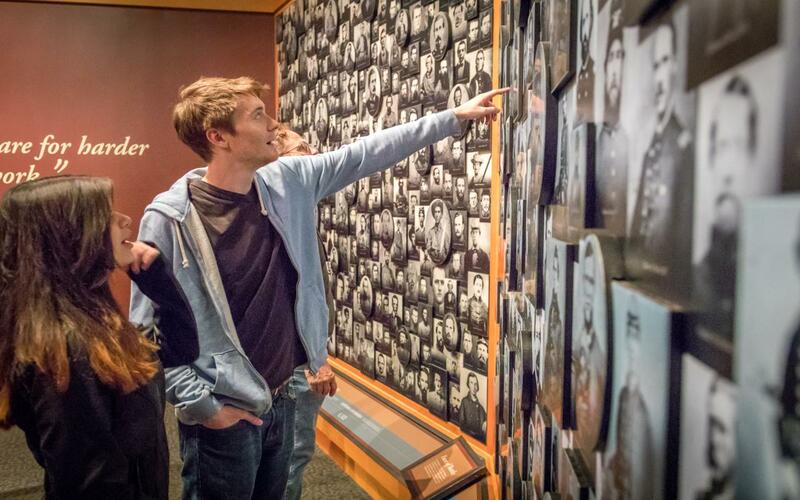 There are many ways your students can experience and explore Gettysburg. 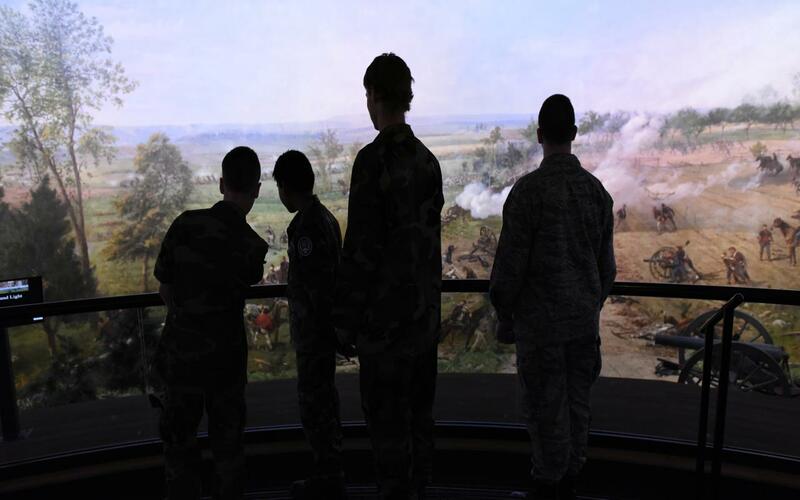 Your student group can begin the day at the Gettysburg National Military Park Museum and Visitor Center to get background on the history of the Civil War and the Battle of Gettysburg. Start with A New Birth of Freedom, a film narrated by Morgan Freeman that focuses on the highlights of the three-day battle. Then, check out the Gettysburg Cyclorama, the massive 360-degree oil painting with a diorama of one of the most important parts of the battle, Pickett’s Charge. The Gettysburg Museum of the American Civil War features 12 galleries encompassing the entire Civil War, with a concentration on Gettysburg. On-site dining in the Refreshment Saloon is convenient for groups for breakfast and lunch. Boxed lunches can be pre-ordered for your group. Touring the battlefield gives you a unique, active learning experience. The 6,000-acre national park was the site of a tremendous battle between Union and Confederate soldiers that lasted three days, from July 1-3, 1863. To see and explore the battlefield, you can hire a Licensed Battlefield Guide who will accompany your group in a school or coach bus for a two-hour tour. If you have a smaller student group, a Battlefield Bus Tour might work best. Your pupils can board a bus with others for a two-hour tour with a Licensed Battlefield Guide. Or, you can purchase audio CD tours at the Museum Bookstore to play in a vehicle. Beyond the battlefields, your students can explore important monuments. The Soldiers’ National Cemetery is the burial place of more than 3,000 soldiers who perished in the battle. It was also where President Abraham Lincoln delivered the Gettysburg Address. The David Wills House played an important role after the battle, and the house was where President Lincoln finalized the famous speech. The Eisenhower National Historic Site is the home and farm of President Dwight D. Eisenhower. While it didn’t play a role in the Civil War battle, the Eisenhower National Historic Site served as an important meeting place for world leaders in the 1950s. The house now stands as a tribute to the themes of wars, presidencies, leadership, dedication and sacrifice. The National Park Service offers several educational programs for K-12 students. These programs are the best way for teachers to give their students experiential lessons. The programs allow students to see the stories of Gettysburg through a soldier’s eyes, giving them a real glimpse into one of the most important periods of American history. Battlefield Footsteps lets students walk in the paths of Civil War regiments, teaching them about the struggles of the soldiers and everyday citizens. Citizenship: Untold Stories from the Battle of Gettysburg tells the stories of the citizens of Gettysburg and what they endured during and after the battle. This program introduces students to a widow who surrendered her home to a general and an African-American farmer dealing with the approaching Confederate Army. Additional programs include walking in formation across the field of Pickett’s Charge role-playing soldiers or climbing Big Round Top and attacking Little Round Top after a forced march. Students will get a first-hand look at different roles people played in the war with the Civil War Perspectives program. Students can hike to the John Slyder Farm and perform daily farming chores, simulate the process of soldier identification following a battle, or learn the ins-and-outs of a field hospital. A visit to the Gettysburg Battlefield is an incredible way to make the pages of a history book come to life for your students. They’ll discover more than they ever imagined through experiential programs and informative tours of this important historical site. The Gettysburg Foundation and National Park Service want to empower students and teachers by enhancing their knowledge of the Civil War and the Gettysburg story.